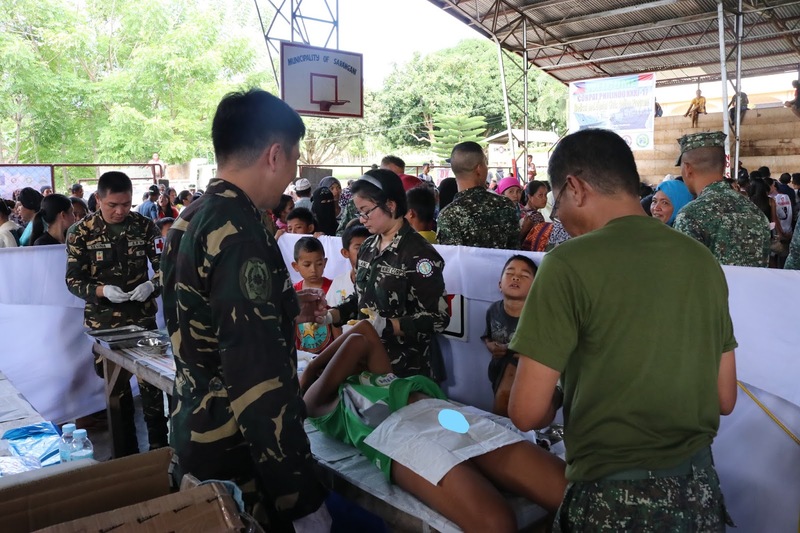 NSFA, Panacan, Davao City - A medical mission was conducted by the Philippine and Indonesian Navies as part of the ongoing Philippine-Indonesia Coordinated Patrol during a stopover of BRP Alcaraz and KRI-812 at Balut Island, Sarangani, Davao Occidental on July 7, 2017. 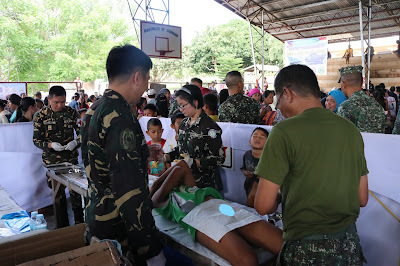 The multi-agency activity was participated in by the Provincial Government of Davao Occidental, Municipal Government of Sarangani, Philippine Coast Guard, Naval Forces Eastern Mindanao, 10th Infantry Division, Eastern Mindanao Command and other volunteer organizations, which benefitted 724 medical and dental patients. The combined annual program of the Republic of the Philippines and Republic of Indonesia coordinated patrol commenced through a military ceremony on July 4, 2017, while the actual border patrol started on July 6, 2017 after the contingents from both countries were sent-off at Sasa Wharf, Davao City. The program is intended to strengthen the security within Davao Gulf and common boundaries of both countries in the southern part of the Philippine Archipelago, particularly along the Celebes Sea, and further enhance their inter-operability in maritime patrol. Enroute to Balut Island, the two sea-crafts and its crew conducted communications exercises to develop inter-operability. Further, their coordination and capabilities on water search and rescue were likewise tested as they patrolled the southern waters of the archipelago. During the stop over, the delegates also inspected the Border Crossing Station situated in the island. The coordinated patrol is expected to culminate on July 12, 2017 through a closing ceremony at Manado, Indonesia after their patrol along the Celebes Sea.